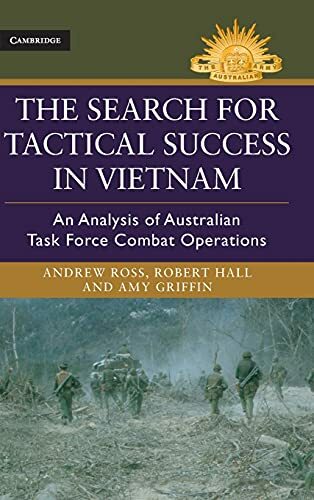 [PDF] The Search for Tactical Success in Vietnam: An Analysis of Australian Task Force Combat Operations (Australian Army History Series) | Free eBooks Download - EBOOKEE! Description: From 1966 to 1971 the First Australian Task Force was part of the counterinsurgency campaign in South Vietnam. Though considered a small component of the Free World effort in the war, these troops from Australia and New Zealand were in fact the best trained and prepared for counterinsurgency warfare. However, until now, their achievements have been largely overlooked by military historians. The Search for Tactical Success in Vietnam sheds new light on this campaign by examining the thousands of small-scale battles that the First Australian Task Force was engaged in. The book draws on statistical, spatial and temporal analysis, as well as primary data, to present a unique study of the tactics and achievements of the First Australian Task Force in Phuoc Tuy Province, South Vietnam. Further, original maps throughout the text help to illustrate how the Task Force's tactics were employed. No comments for "[PDF] The Search for Tactical Success in Vietnam: An Analysis of Australian Task Force Combat Operations (Australian Army History Series)".